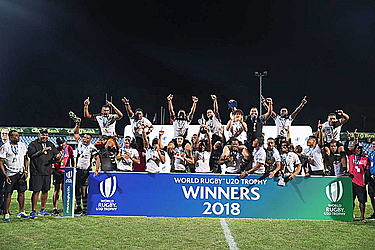 World Rugby - On another day of high-scoring matches at the Stadionul National Arcul de Triumf in Bucharest, Fiji defeated Samoa 58-8 in a one-sided final to win promotion to the World Rugby U20 Championship for the first time since 2014. Despite being previously unbeaten at this level, Samoa were no match for their Pacific rivals whose marvellous performance earns them the right to play against the elite in international age-grade rugby in Argentina next year. 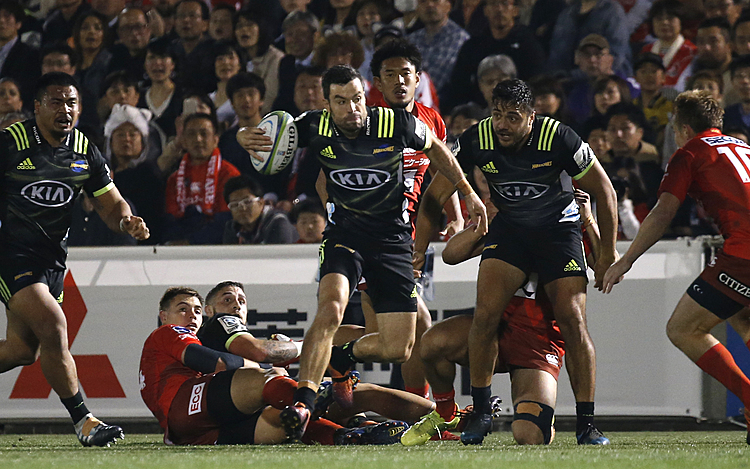 True to form, Fiji served up a feast of running rugby and scored nine tries to help take the overall tally on the day past 50. Inspired by full-back Nabetelevu Turaganivalu and centres Vilimoni Botitu and Ilikena Vudogo, Fiji were irrepressible in attack as they ruthlessly capitalised on basic Samoan errors, of which there were many, to put the two-time champions to the sword. Samoa’s lack of patience in attack and high turnover rate hurt them badly and Fiji could even afford to lose a man to the sin-bin in each half as they recorded the biggest win in the history of U20 Trophy finals. Turaganivalu set up Botitu for the first and then scored himself, after hitting a great line from deep, as Fiji racked up a 14-0 lead despite playing with 14 men. The long-striding Turaganivalu added a penalty to his two conversions before Samoa finally got on the scoreboard when Simon Toleafoa punished a Fijian high tackle with three points from the kicking tee. With five minutes of the half to go, Ratu Meli Turagaca squeezed over in the corner to make Samoa’s task that much harder and atone for his earlier yellow card. The expected second-half onslaught from 2011 and 2016 winners Samoa failed to materialise and Fiji soon scored again, through Botitu, to have one hand firmly on the trophy. Scrum-half Simione Kuruvoli sniped over from close range to make the score 34-3 before Viliame Rokobuli used his power to bump off three would-be defenders on his way to the line. Fellow winger Tira Patterson then spent 10 minutes on the sidelines for another high tackle but, still, Samoa could not find a way through. A brilliant solo effort from Vudogo added to Samoa’s woes but they did get a consolation five minutes from time when back-row Anthony Shammah-Solomona, one of their brightest performers on the day, charged down the right flank and forced his way over. However, the final say deservedly belonged to Fiji when Vudogo brilliantly claimed the restart to set up flanker Ratu Meli, and there was still time for replacement Joseph Mar to cross over unopposed.